This amazing book explains the Top End like no other. From the evolutionary context to the rock formations, plants and animals we see today the book explains the environment, the weather cycles and the biodiversity in a very readable and beautifully illustrated way, with magnificent photographs. The book is an all-in-one resource for any questions about the Top End environment. 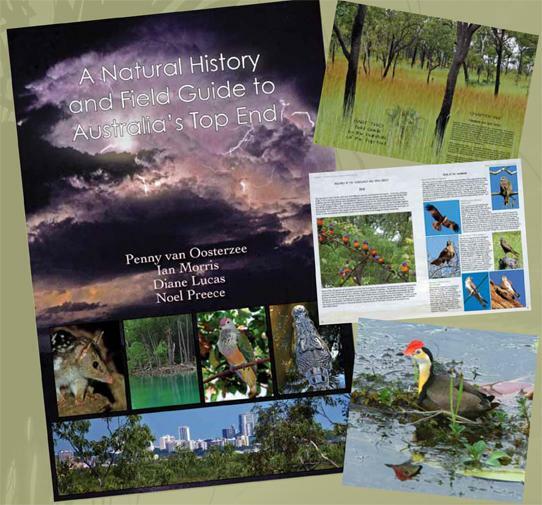 Written by Penny Van Oosterzee, Ian Morris OAM, Dianne Lucas and Noel Preece, all remarkable naturalists, the book is very user friendly and is ideal for visitors, students as well as those working in the field of tourism or natural resource management. eNTITy1 pty ltd in conjunction with FrogWatch are making traps available for purchase as a part of the anti Cane Toad campaign in the built up areas of the Top end. Frogwatch is confident that we can collectively stop the Cane Toads from becoming prolific in the Darwin Palmerston and Rural areas. Traps will play an important part of this eradication campaign as they will collect Toads every night. 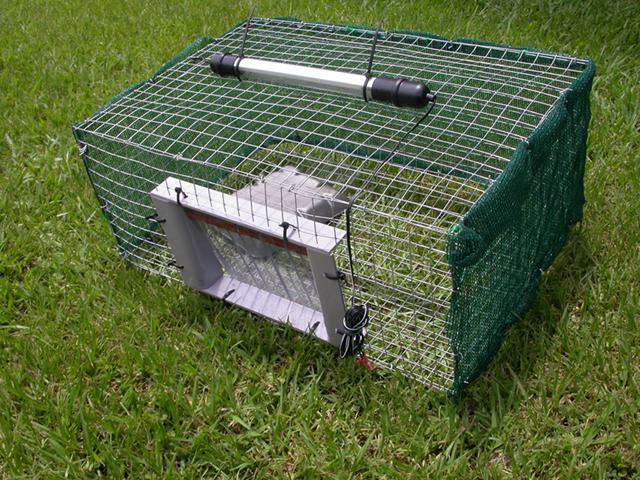 To learn more about the best trap for your place check out the research and information on the website traps discussion in the FrogInfo forum. Instructions for the traps are also on the site. 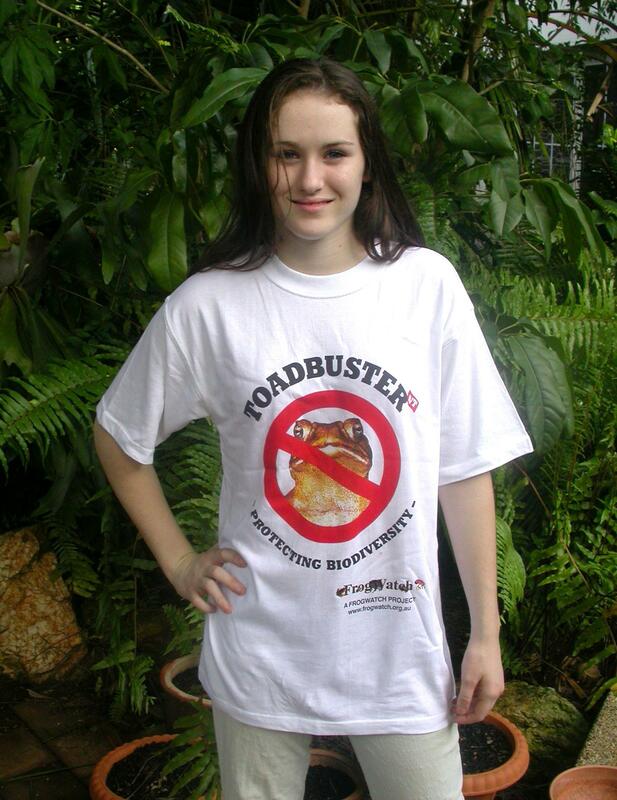 Email info@frogwatch.org.au for more information. 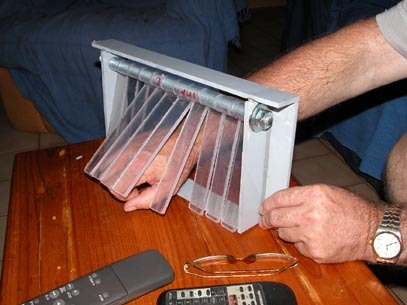 The FrogWatch Cage Trap gates can be collected from 19 Tasman Circuit Wagaman NT 0810, ph 0889456005. Once the order is confirmed. We will call or email confirmation the trap is ready. Note there may be a delay in shipping due to the fact we do not carry significant stockpiles of traps. Please click on the document (FrogWatch trap pamphlet.doc) to read more about it. These gates form the basis of the traps used to catch hundreds of cane toads during field trials. The gate is approx 390 mm long, 160mm high and 45mm deep. Cage trap with a clear finger trap gate. Approximately 500 w X660 long X 255 high. This sort of trap can keep your yard toad free. In trials a yard trap cleaned out a yard area in 5 nights and kept it relatively toad free by catching any toads that moved into the area. Light and shadecloth not included in the price. Consider just buying a trap gate and making your own trap if you need to freight it as the costs are very high for freight. We will supply plans. It would be best to buy the trap gates and make your own cage as the freight is becoming very expensive as freight companies work off the size of the container, not just the weight. This is a cage trap has 3 clear finger trap gates. During trials near Pine Creek this type of trap caught 543 cane toads in six weeks. 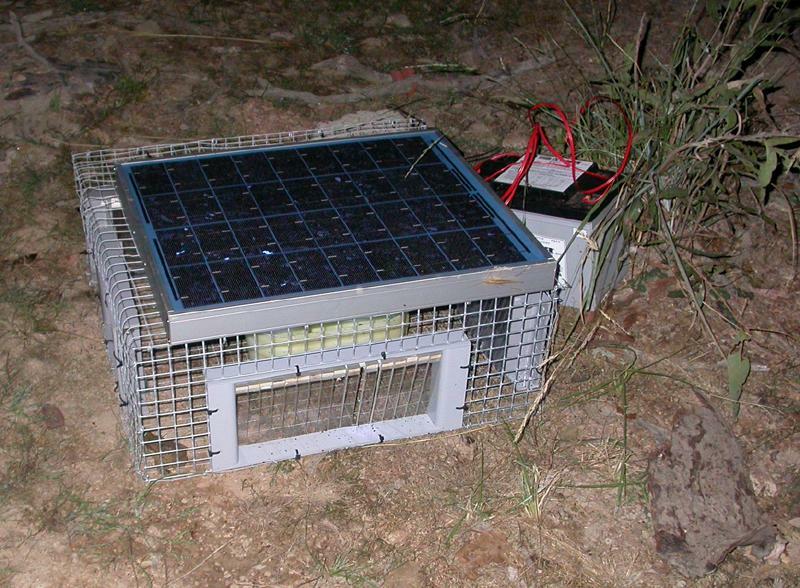 The image shows a field trap fitted with a solar powered light. This particular trap caught 50 toads on its first night. Lights and solar panels are not included in the price. Available Sizes - S, M, L, XL, XXL. Cost: $26 includes Delivery. $20 if Pick-up option selected. Pick-up Location: 27 Harvey Street, Darwin NT 0801. Note: Please specify the size in the comments area when completing the Personal Details.